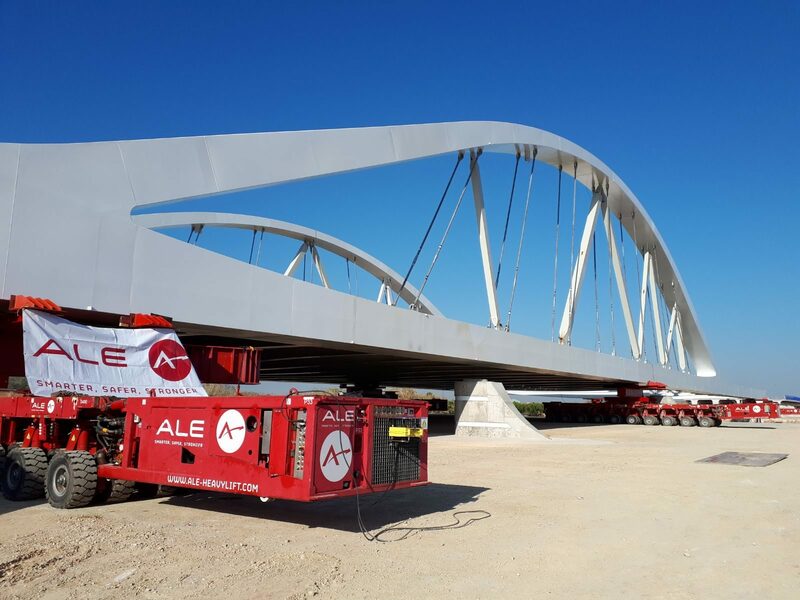 The British group Ale used some SPMT trailers to lift a 200m long steel arch bridge weighing 2100t, over the Júcar River in Cullera near Valencia, Spain. Instead of traditional methods in order to avoid costly reinforcements, the team used these devices in order to reinforce the bridge “in specific areas, which saved valuable time and cost for the client“, explained Carlos Gerez, Ale’s Account Manager – Civil and Mining. The bridge will form part of the new A-38 highway.